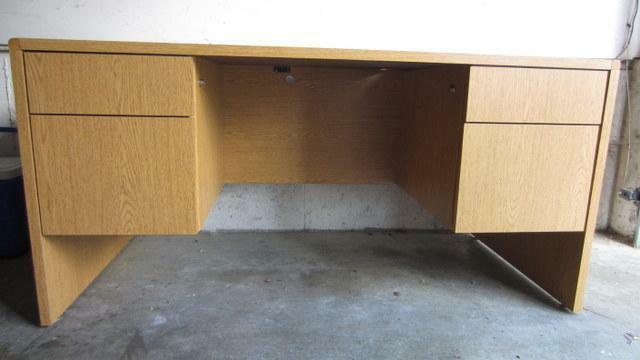 Very solid desk in very good condition, colour- light oak. Two bar stools are 25" high to the seat, and 38" high to the top of the chair back. The desk and bar stools are offered separately. Like new. Very clean. High quality. For sale until tomorrow "Sunday". Pleas text me if you like it.